Headbands are lots of fun and they can turn a little girl into a fairy princess quickly. 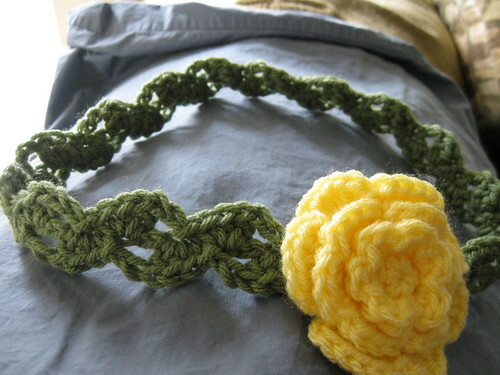 The best headbands are deceptively simple. Here's one that's just begging for a pretty flower! 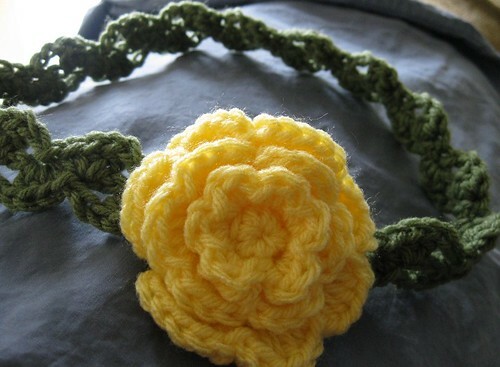 To make this headband, you first need to measure your head or the head of the cutie you are making it for. Your initial chains will be based on this measurement. Cluster: DC, HDC, SC in the same stitch, followed by a SL ST in the next stitch, then CH 2. Chain 4 for every inch of your head's measurement + 3 chains. 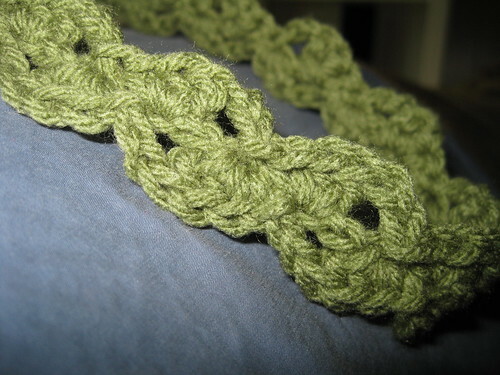 In the 4th chain from the hook, do the cluster (DC, HDC, SC in the same stitch. SL ST in the next stitch). *CH 2. Skip 2 CHs, cluster, (Repeat from * to end). DO NOT TURN. CH 2 and working around on the other side (DC, HC, SC in the same stitch in the 3rd st. SL ST in the next stitch. *CH 2. Skip 1 CH, cluster. Repeat from * to end. At the end, you will finish with a DC, HDC, SC in the same ST. Put the ends of the band together and SL ST them together (I did two). Fasten off and weave in ends. Attach your favorite flower or flowers! Thank you for your pattern. I will have to give it a try!